The Graveyard Book meets The Goonies in this smart, spunky middle grade mystery from acclaimed author Andrea Portes! This is the headline that changes Henry and Eva’s lives. Their parents, environmentalist William Billings and his oceanographer wife Margo, disappear mysteriously at sea. But for Henry and Eva, things are about to go from bad to worse. Their jerk-face uncle (nicknamed Claude the Clod) and his awful girlfriend (Terri the Terrible) have moved into their big house on the cliff to “take care of them,” but Eva has her doubts about their intentions. And when some spooky visitors appear with a message, they realize that their parents’ deaths might not have been as cut and dry as everyone thinks. It’s up to Henry and Eva to discover the truth—but can they do it before the Clod catches them? Perfect for fans of Lemony Snicket, readers of this arch, spooky, timeless tale will find themselves enraptured with this fresh new middle grade series. Andrea Portes is the bestselling novelist of two critically lauded adult novels, Hick, her debut, which was made into a feature film starring Chloë Grace Moretz, Alec Baldwin, Blake Lively, Eddie Redmayne, and Juliette Lewis, and Bury This. Her first novel for young adult readers, Anatomy of a Misfit, was called “perfection in book form” by Teen Vogue. Her other YA novels include The Fall of Butterflies and Liberty: The Spy Who (Kind of) Liked Me. 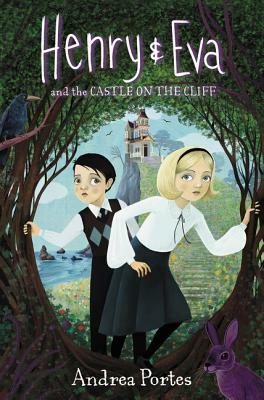 Andrea Portes’s spooky, timeless middle grade debut is Henry & Eva and the Castle on the Cliff. Andrea grew up on the outskirts of Lincoln, Nebraska. Later, she attended Bryn Mawr College. Currently she lives in Los Angeles with her husband, Sandy Tolan, their son, Wyatt, and their dog, Rascal. You can visit her online at www.andreaportes.squarespace.com. PRAISE FOR THE FALL OF BUTTERFLIES: “[Willa’s] first-person narration is self-deprecating, deeply thoughtful, and thoroughly funny, with a sometimes-chiding direct address that pulls readers into her confidence. Snarky and painfully astute. But in a good way.